A day after reports of an IDF attack on sites in Syria, Hezbollah released a video which featured aerial and satellite images of IDF bases – including one of the Defense Ministry headquarters in Tel Aviv. In the video, Hezbollah chief Hassan Nasrallah is seen threatening Israel with an attack “if it dares” attack Lebanon. “Any attack on Lebanon, any aerial bombing of Lebanon, any missile fired at Lebanon, we will respond,” the voice-over in the video says over images of the various IDF bases. “If you dare, you will be sorry,” the voice-over adds. IDF officials said they were investigating where the images used in the video came from, but that they were likely stolen from databases of various satellite companies. Several of them were out of date as well, they said. 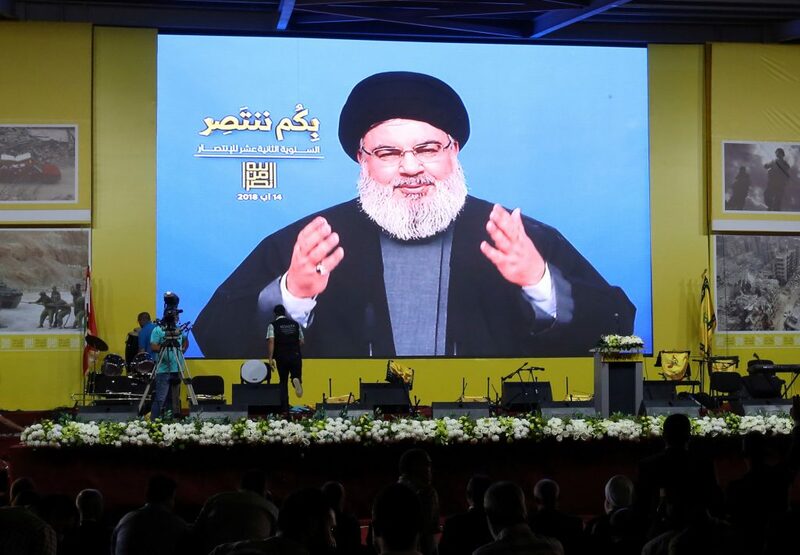 Avichai Adraee, the IDF’s Arabic-language spokesperson, commented on the video on social media saying that “those who live in glass houses should not throw stones,” referring to the fact that Nasrallah remains in hiding out of fear that he will be targeted by the IDF. Israel would respond as needed “because the airspace over Lebanon is open to Iranian planes transporting weapons.” An Iranian plane carrying weapons was seen landing in Beirut’s airport Thursday, the third such flight in recent months, Fox News reported. Reports Thursday night said that Israeli forces had attacked targets in Syria south of Damascus. Syria said that it had downed an Israeli plane in the attack, with the IDF denying the claim, and Syria later retracting. The IDF said that the remains of a Syrian missile had been found on the Golan Heights, apparently fired in response to the Israeli attack on what security sources said were Iranian forces. The IDF had no comment on the attack.